These fab Jamie Jim Jams from Frugi, made from super soft organic cotton with a touch of elastane in the neck binding for extra stretch, are ideal for kids to wrap up on chilly nights this season! The Grey Marl top, with contrasting True Blue long sleeves, has a howling Wolf applique on the front. 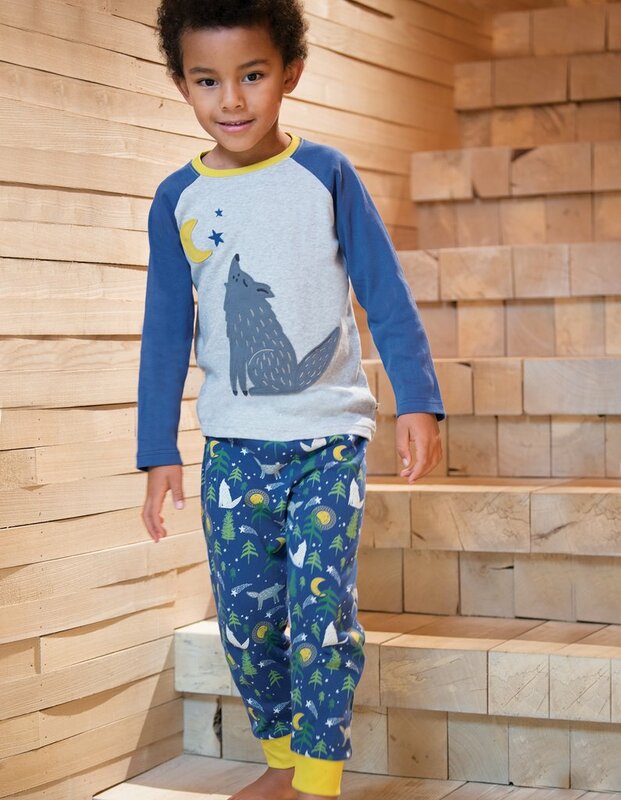 The coordinating long bottoms, in a Moonlit Night print, have an elasticated waistband with a Gorse Yellow cotton drawcord making dressing for bedtime a breeze. 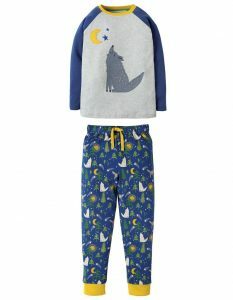 The perfect baby pyjamas for the sweetest of dreams, these Little Long PJs are super soft against your little one’s delicate skin! Next Next post: Protein Water is Beneficial for Muscle Growth!